“I am absolutely furious,” said Bonnie Bosak about her attempts to renew the disability tax credit for her 16-year-old son. Bosak, who lives in Niagara, Ont., said she first applied for her son after he was diagnosed with ADHD when he was six. He was subsequently also diagnosed with a severe learning disability. “He basically needs help with anything related to reading, writing, deciphering. So even though he is in high school, he is on an IEP which is a specialized learning program,” she said, adding his reading level is that of a Grade 2 or 3 student. “He’s looking for a part-time job and he’s hoping to get on as a part-time baker at Tim Hortons, but he can’t even fill out a job application for himself,” she said. Bosak had no problem when she was required to renew the application five years later. However, last fall when she applied to the CRA for another renewal, the agency requested additional information, which Bosak provided. She has since been told her son is no longer eligible, and no one will tell her why. Yellowknife resident Ben Brown has also not been given a reason why he was rejected, other than that his health issue does not affect 90 per cent of his life. He disputes that, saying it impacts every aspect of his life and always has. The 36-year-old was born with a congenital hearing defect that has worsened as he has aged. He says he’s unable to wear hearing aids because of the damage to his ears. He’s undergone 32 surgeries and says he struggles with his disability every day. “When I asked why I didn’t qualify, I was told, “If we told you what was wrong with your application, you would just fix it and reapply,”‘ Brown said. He has 90 days to appeal the ruling. Haley Thomas of Bridgewater, N.S., has a different complaint. The 22-year-old said the CRA lost her application. She said she originally applied in March 2017 on the advice of her doctor. She is severely overweight and needs help with daily care. She has been placed on a seven-year wait-list for gastric bypass surgery and hoped the disability tax credit could help with additional weight loss supports. However, CRA said it had no record of her application, so she reapplied in December. She said she was told all the documents had been received and were being reviewed, with a decision expected March 20. On that date, she was told the decision had been delayed until March 29. “Then, within eight hours, I received a phone call from a representative stating that all of my personal information has been lost and that they have no record of me in their system. So my social insurance number, banking information, personal health records, photocopied prescriptions, personal letters about my health problems, everything was gone,” she said. She said she is so stressed by the situation that she is losing sleep, wondering and worrying where her information has gone. She has contacted her Member of Parliament for help and is waiting to hear back. In an email to the CBC, the CRA said to be eligible for the disability tax credit, a person must have a severe and prolonged impairment in physical or mental functions as defined by the Income Tax Act and certified by a medical practitioner. 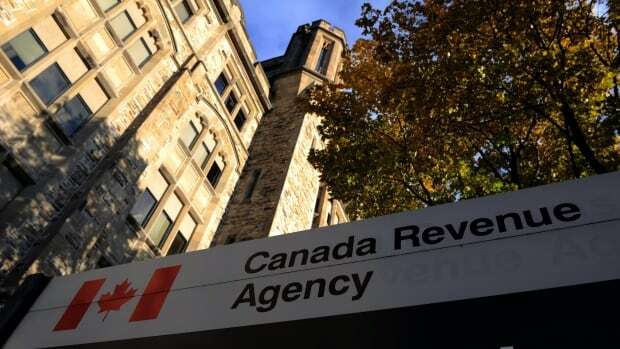 Biram said there have been no changes made to the eligibility criteria and the CRA does not have a target rate for approvals or denials of the credit. He said each application is reviewed on a case-by-case basis and some people who applied were approved for two to 10 years, but must submit a new application when previous approval has expired. There are the equivalent of 108 full-time employees who are processing applications for the disability tax credit, Biram said, and if applicants do not agree with the CRA’s ruling, they can provide additional medical information and ask for a review or formally object. He pointed out the agency has taken steps to make the credit available to all eligible Canadians, including increasing outreach activities. Biram said the CRA has also reinstated the disability advisory committee to ensure that tax benefits for disabled people are administered fairly and transparently. ?